Kingsley Coman, Alexandre Lacazette, Dimitri Payet, Karem Benzema and Anthony Martial are among the notable absentees from France's 2018 FIFA World Cup squad. 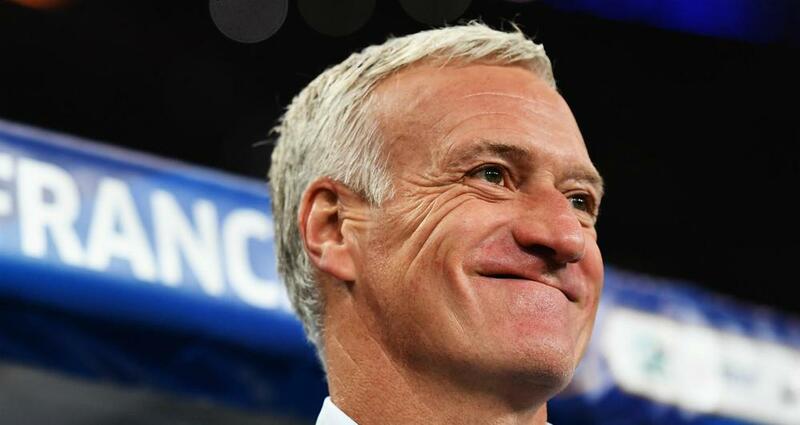 Didier Deschamps has left Premier League stars Anthony Martial and Alexandre Lacazette out of France's squad for the World Cup, with Dimitri Payet, Adrien Rabiot and Kingsley Coman also omitted. Bayern Munich winger Coman is on the reserves list, along with Rabiot, Martial and Lacazette, but Payet is out entirely after the Marseille captain was injured in Thursday's Europa League final defeat to Atletico Madrid in Lyon. Laurent Koscielny is another big name absent due to injury, while Steven N'Zonzi, Benjamin Pavard and Lucas Hernandez are among the surprise selections made by Deschamps. With so much attacking talent available there were always going to be casualties and Deschamps has preferred Ligue 1 stars Florian Thauvin and Nabil Fekir over Martial and Lacazette, who both had underwhelming Premier League campaigns. After returning from injury at the end of Manchester City's record-breaking Premier League title success, Benjamin Mendy has done enough to earn a place, although team-mate Aymeric Laporte - City's record signing - misses out. Barcelona's left-back Lucas Digne is on the 11-strong reserve list, along with fellow defenders Kurt Zouma, Mathieu Debuchy and Mamadou Sakho. Deschamps has a wealth of attacking options despite the omissions of Lacazette and Martial, with Chelsea's Olivier Giroud competing with the likes of Atletico striker Antoine Griezmann, PSG forward Kylian Mbappe and Barcelona's Ousmane Dembele for selection in Russia. France opens is World Cup campaign against Australia on 17 June (AEST) before facing Peru and Denmark in its remaining Group C fixtures. Alphonse Areola (PSG), Hugo Lloris (Tottenham), Steve Mandanda (Marseille); Lucas Hernandez (Atletico Madrid), Presnel Kimpembe (PSG), Benjamin Mendy (Manchester City), Benjamin Pavard (Stuttgart), Adil Rami (Marseille), Djibril Sidibe (Monaco), Samuel Umtiti (Barcelona), Raphael Varane (Real Madrid); N'Golo Kante (Chelsea), Blaise Matuidi (Juventus), Steven N'Zonzi (Sevilla) Paul Pogba (Manchester United), Corentin Tolisso (Bayern Munich); Ousmane Dembele (Barcelona), Nabil Fekir (Lyon), Olivier Giroud (Chelsea), Antoine Griezmann (Atletico Madrid), Thomas Lemar (Monaco), Kylian Mbappe (PSG), Florian Thauvin (Marseille).